« Apple to Launch 27-inch iMac with 5K Retina Display Soon? According to the latest report from atechwebsite, the guys from Cupertino are currently working on a new version of MacBook Air. The next-generation laptop is expected to feature a 12-inch display and come in Space Gray, Gold, and Silver colors. These rumors haven't yet been confirmed by Apple representatives, however, earlier this year a report surfaced online that suggested that Apple was indeed working on a new laptop with larger screen. It sounds a bit strange, but people familiar with the matter claim that the release of the new MacBook Air has been postponed for several time due to various issues and manufacturing delays. The site's source claims Apple is aiming for a mid-2015 launch of the new notebook; however, it's release has apparently been pushed back multiple times already. The current time frame is expected to allow Apple to utilize Intel's new Broadwell processors. Interestingly, the report says Apple plans to offer the device in multiple colors that match the colors of the iPhone. Whether this will materialize is unclear. 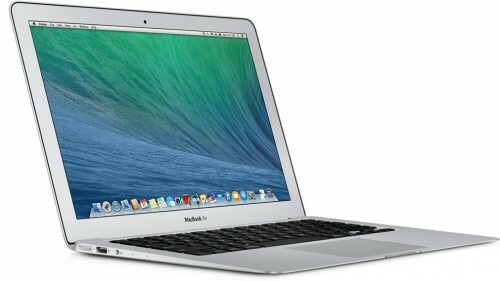 As to the design of the next-generation MacBook Air, it remains unknown. Anyway, I don't think the guys from Cupertino will seriously alter it. We'll see.